CHICAGO (WLS) -- Twin brothers were shot and killed in Chicago's Old Town neighborhood early Sunday morning, police said. Edward and Edwin Bryant, both 17, were standing in the 1300-block of North Hudson Avenue around 3:15 a.m. when police said a dark vehicle drove by and someone inside the vehicle opened fire. Edwin was shot in the check and back. Edward was shot in the chest and head. Both brothers were rushed to Northwestern Memorial Hospital, where both boys died a short time later, the Cook County Medical Examiner's Office said. The shooting remains under investigation. No one is in custody. The fraternal twins were juniors at Marshall High School in the East Garfield Park neighborhood on the West Side after transferring from Lincoln Park High School as freshmen, according to Edward's youth basketball coach. Edward played basketball for the Marshall and for the Chicago Demons, a youth basketball program in Old Town, according to Chicago Demons Coach Vince Carter. Edwin also played basketball until middle school. Carter said Edward played on the Demons' traveling team since 6th grade. Earlier this year, the Demons won the Bigfoot Classic in Houston and the Las Vegas Live tournament. About 30 teams competed in the tournament in Houston and about 75 teams in Las Vegas. "He was a big part of (those wins)," Carter said. Standing 6-foot-5, Edward played forward and could dunk, Carter said. He "had a Kevin Durant look...and had been coming into his own in the last few years." He probably would have played college basketball, and Division I college teams "were looking at him." "He played hard," Carter said. "He loved basketball ... but you had to push him to realize his potential." 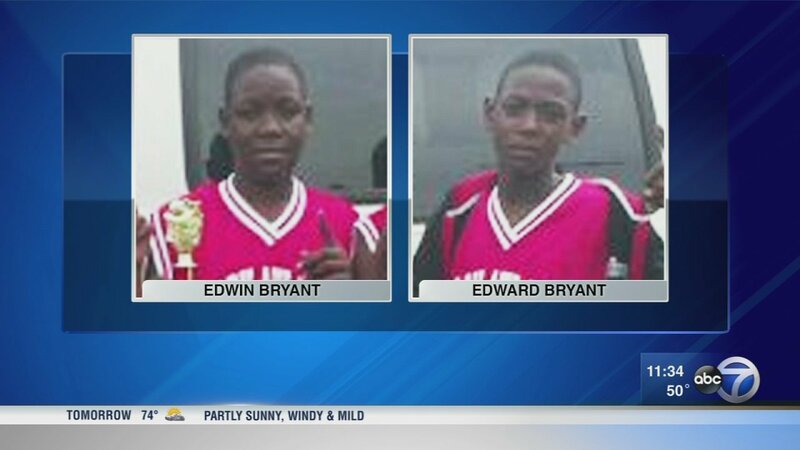 The brothers were two of four teenagers shot dead in Chicago since early Saturday.